Give your body and mind a break from the external stimulations of everyday life and experience for yourself why floatation therapy is taking the world by storm. 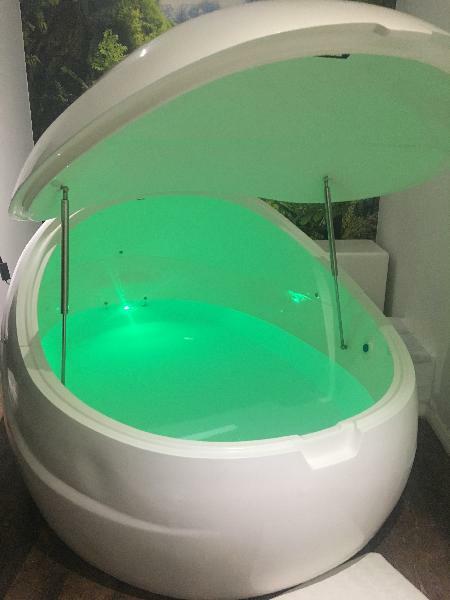 A flotation session will reset your body and mind to a state of complete relaxation - a 1 hour float is the equivalent of 4 hours quality sleep! 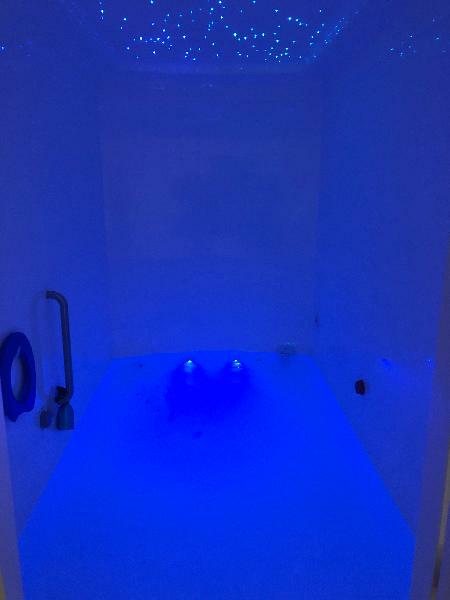 The specifically designed float tanks are filled with body temperature water containing over 500kgs of Epsom salts, allowing your body to become completely buoyant and float effortlessly. This zero gravity effect allows your spine to decompress, relieving pressure on the spine, muscles and joints. The absence of external stimulation in the tank provides the perfect environment to relax, heal and detoxify. How to book a time: After booking simply contact Infinity Float to secure a suitable float time. Contact details can be found on your booking confirmation. Do not float if: You suffer from incontinence, diarrhoea, infectious diseases or uncontrolled epilepsy. You're menstruating, breastfeeding or in the first trimester of pregnancy. You have a special or lacquered hairdo, or have recently dyed your hair. You have applied hair colour or used tanning products within the last week. You have open or bleeding wounds. You have been medically advised not to float. I had a great experience BUT the machine at the end is very noisy and stop too vehemently the relaxation period. My partner booked this for me on our holiday. Was amazing, would highly recommend! Great, relaxing experience! Clear explanation made me feel very comfortable with what I was doing. Very clean! I gifted it to my mother and it was her first time. She loved it! I highly recommend the experience. Your message has been sent to 90-Minute Float Session - Infinity Float. You should hear from them shortly. Please note: all responses will come directly from 90-Minute Float Session - Infinity Float, and not the team at Bookme.